Find your enrollment checklist to get started today. Find out your options for paying for college. 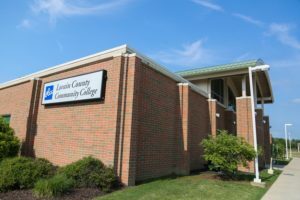 Find out how much it costs to attend LCCC. Monday - Thursday: 7:30 a.m. to 7:30 p.m. Registration is now open for Summer and Fall classes. The LCCC Wellington Center is located on Route 58 just north of Route 18. The 10,000-square-foot facility features study/conference rooms, a 20–station computer lab and six interactive video distance-learning classrooms that offer on-site courses and connect with LCCC. LCCC Wellington Center students have great stories. Read more about some of our graduates. The ATI-TEAS test is now available at the LCCC Wellington Center on Tuesday by appointment. For information, please call us at (440) 647-1776. The LCCC Wellington Center Computer Lab is free and open to the public for student and community use. The LCCC Wellington Center allows non-profit organizations to rent space at the center for free, based on facility hours and availability. To plan your organization’s next meeting at the LCCC Wellington Center, please call (440) 647-1776.